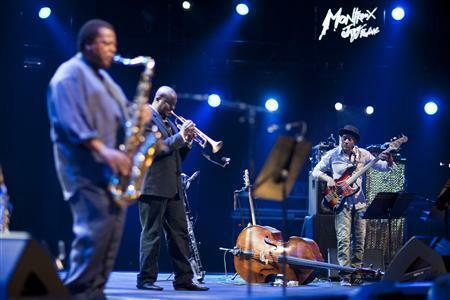 Even though the Montreux Jazz Festival had been raging for over two weeks, The Miles Davis Tribute was the first show of the festival for Josh and I, having just arrived in Montreux, Switzerland by way of Paris, France earlier that morning. This would be a very special performance for us and other Americans who were attending because this show was not making its way to the United States. Sad but true, which made this a very special performance for jazz heads like Josh and I. We walked from our hotel to the gorgeous Auditorium Stravinsky, about a 15 minute walk along the gorgeous Lake Geneva, or Lake Léman as the Swiss prefer to call it. You can read more about this gorgeous auditorium and its amazing acoustical design in my previous post titled My Behind The Scene Tour and Overview of The Montreux Jazz Festival! Having been blessed with a amazing VIP package from the wonderful Sloane Family earlier in the year, we were so excited and didn’t know what to expect! We had already been greeted upon arrival to our hotel by a Festival representative and been given a goodie bag full of Mac Cosmetics, two festival tee-shirts, a dual-disc sampler CD, Missoni pamphlets and more. 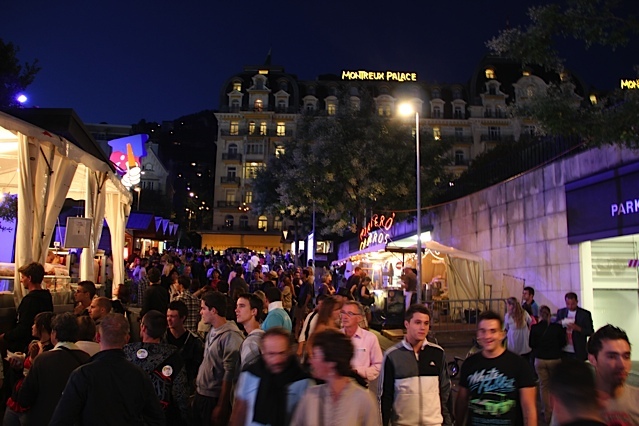 Night view of festival sidewalk heading up to Auditorium Stravinsky, which is to the left of the white tent! The Lake is located behind me at this view. We found our way to the Protocole’ Office where a most gracious staff took care of us. Vivian, Josephine and Helena were beyond wonderful!! Thank you ladies for your patience, giving us the best of care, making sure we weren’t kicked out of our booth by the stars and reminding us how hospitality should be handled. New Yorkers need to recognize! The hospitality in Switzerland is absolutely unmatchable. We were given two slips of thick paper and orange wrist bands that served as entry to the box seats. We were shown the way to the top of the venue, led down a little hallway and placed into Box #4. My magic number 🙂 There were only six boxes total as far as our floor was concerned. If they had more, I never knew about them or saw them. The below picture shows the stage from the left side box view. We were just the mirror image, same spot but our box was situated to the right of the stage. It was a phenomenal view of the show, albeit far away. There would be no front row raging during these performances. The show was slated to begin at 8pm but we all know what that means. Finally around 8:45pm, beginning fashionably late (pun intended and you’ll see why later), Claude “Funky Claude” Nobs, the fonder and general manager of The Festival, and a few staff members came out on stage to press festival merchandise. Claude led the pack, wearing multiple shirts, stripping away a layer at a time then throwing the shirts into the audience. Then came the introductions via Funky Claude. 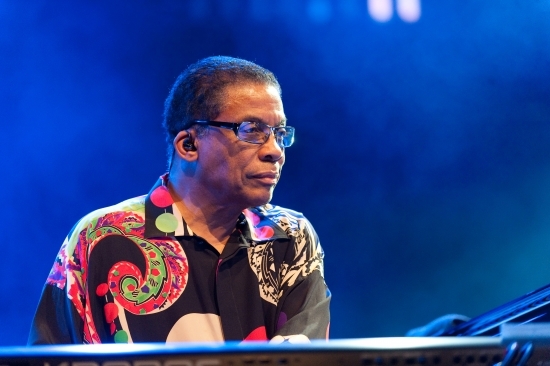 Pianist and composer Herbie Hancock, saxophonist Wayne Shorter and bassist Marcus Miller are all alums of the school of Miles Davis, having all had the pleasure of playing with Davis before he passed. 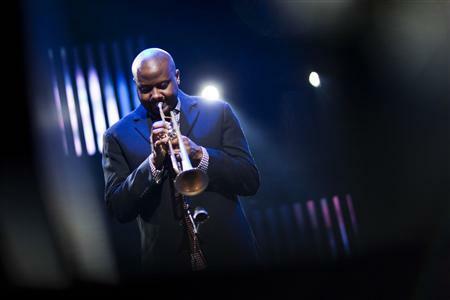 The jazz great, whose statue stands proudly in a park next to Miles Davis Hall, performed 10 times at Montreux, the last time just two months before his death at age 65 in 1991. Marcus Miller was introduced and came out in an all white suit and his signature black hat. Herbie Hancock was introduced and came out rocking a MEGA Cosby Sweater to which Claude commented on how he liked it. Well, of course he did. Claude Nobs only wears Missioni! Yall know the “interesting” $1,000+ designs that looks like ugly sweater patterns? It’s my least favorite store on Madison Avenue and here is this dude who only wears that brand. He rocked every piece 🙂 It was made for Claude and all his fabulousness and, to be honest, I grew to like a few items during my trip. 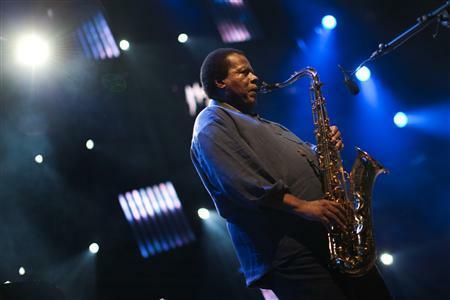 Wayne Shorter was next and in the tradition of Davis, the trio has brought in two young musicians to work with them, trumpeter Sean Jones and the drummer Sean Rickman. During the Marcus Miller workshop the following day, a question was asked about the set list and how it was formed. Miller spoke about how they picked the song, (which I will speak of fully in the Marcus Miller Workshop Post to follow this one next week). He spoke about how they didn’t want to do the songs the same and it was when they began to have fun with the songs that the “Blah, Blah, Blah” would happen. It was the “Blah, Blah, Blah” that made this experience its own and where the beauty in the performance was meant to show itself. So, during each song, the group would go off into “Blah, Blah, Blah” and that was when the magic happened. 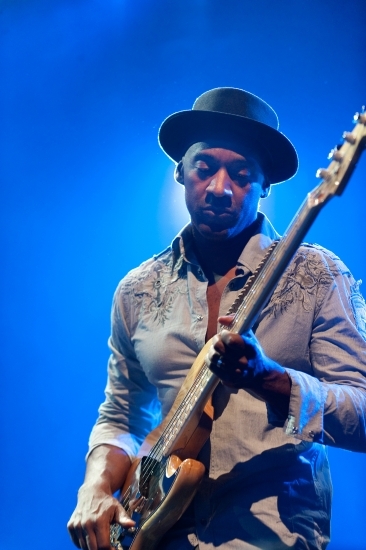 Marcus Miller raged an amazing electric bass solo during “All Blues” as he curled his fingers into the strings, creating a gorgeous texture of sound. There was no guitar on stage, yet it was so tight, so jazzy and so full of notes and excitement that it filled the auditorium fully. 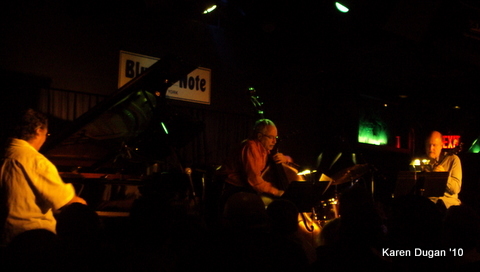 During the “Blah,Blah, Blah” towards the end, Miller changed to a saxophone-looking instrument that layered a deep tone under the rest of the group. During a swanky “Directions,” I notice movement in the box to my left. 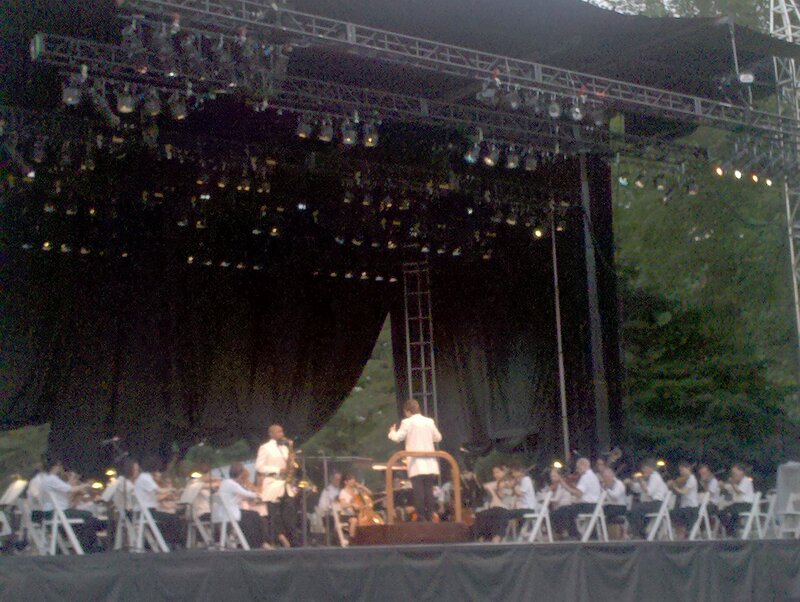 I see Esperanza Spalding being sat down on the second row with a few of her people. At first, I didn’t think it was her but then who else rocks hair like that? 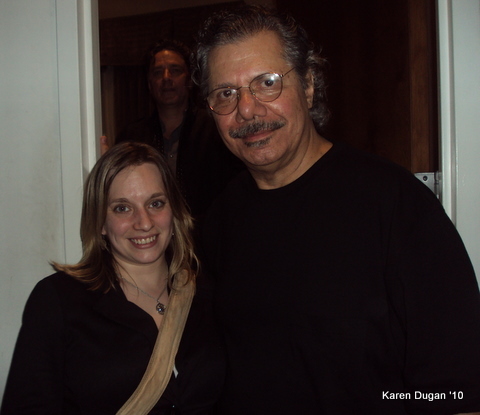 It took all my power not to geek out. She is a musical goddess and we would be enjoying her performance only a few hours later for the Quincy Jones’s Global Gumbo, (another post that will be following this one shortly). “Someday My Prince Will Come,” from the 1961 album recorded with John Coltrane, was beautiful. This is one of my all time favorite songs. A gorgeous song from Disney’s 1937’s Classic Snow White and The Seven Dwarfs, it’s impossible not to feel something as a female while listening to this song. My eyes immediately welled up and I know I was not alone in this emotional stirring of the soul. Marcus Miller started off with a slow bass solo then Sean Rickman and Herbie Hancock took over the stage. I had never seen Rickman or so I thought. He is actually the drummer from Garaj Mahal, a group I have not been able to see in a long time. He caught my ear. Most of the time drummers are not the artists who catch my ears in a project like this. He was superb and he looked to be having so much fun up there as his smile never once dropped, nor did his beat. Then, a nice informative break in the show as Wayne Shorter engaged the audience with how the super group decided to approach this tribute. 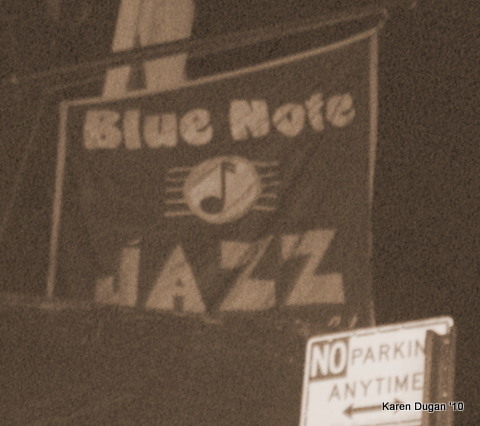 During their first rehearsal, the five men did nothing but talk about how best to honor Miles’s spirit. They didn’t play a single note during the entire first rehearsal. Miller would later say in his Workshop that during that time of revelation, they would try to outdo each other by seeing who could come up with the most obscure Miles tunes. It was during this time, during this first rehearsal, that Miller said they became a band, before a single note was ever played between them. 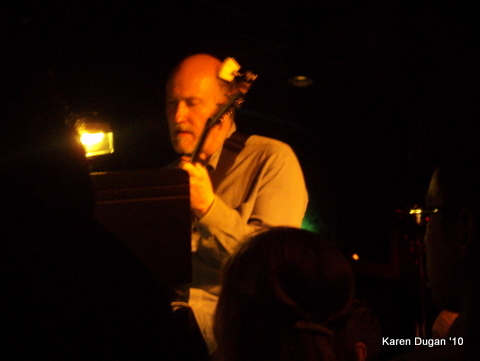 While putting together their set list, the one thing the group didn’t want to do was “play in the style in which it was originally done because we figured Miles would hate that.” Miles was a man who always looks forward and so as they looked back at his music to play they knew that Miles would have wanted them to look forward, taking his music to new levels. 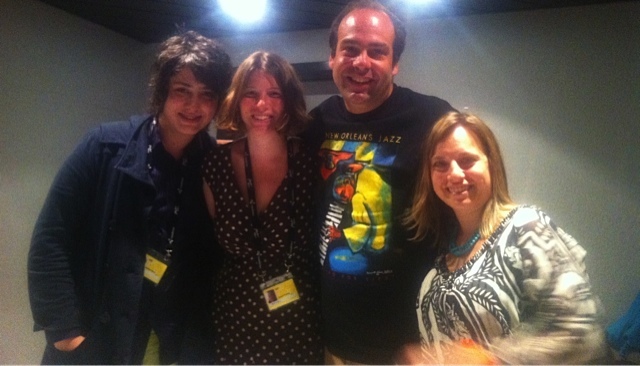 They spoke on how they felt Miles had only been dead 4 or 5 years, not the 20 years that we were celebrating tonight. They felt, and I agree, that this was because of the fact that Miles’s music is still so very relevant today and the lingering spirit that resides in all the artists who played with him keep his spirit flowing through the scene and through the music. Breaking into “Footprints,” Wayne Shorter related to the audience that this portion of the show would represent Miles’s childhood. 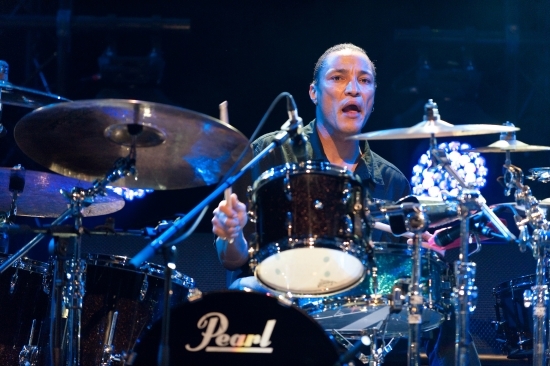 The songs were playful which made sense and the “Blah, Blah, Blah of this song became funky as the bass and horns led the pack. 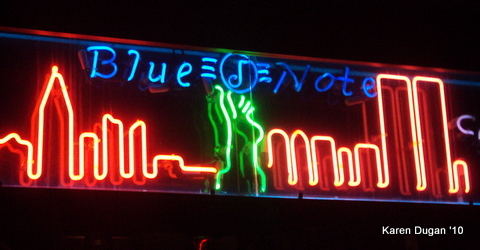 During the song, Hancock transformed his keyboards into human noises, each key making a different sound consisting of hoots and hollers sound bites from James Brown that said “Come on,” “Groove,” “Yeah,” and cat calls and yelps. The “Blah, Blah, Blah” had taken over. 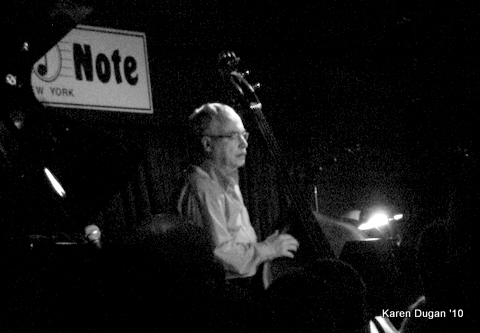 Marcus put down the electric bass and moved to the standup for “Jean Pierre” which changed the entire scenery of the sound in the room, almost big band-y. I knew it was a song from later in Miles’s day. If I could only remember the name. The trumpets led the band during and the “Blah, Blah, Blah” of this song went on for minutes and ended in a standing ovation of the crowd. Being on the big stage for this 5 piece band was perfect. The artists on stage lined up for a bow and it was tearful moment for me. 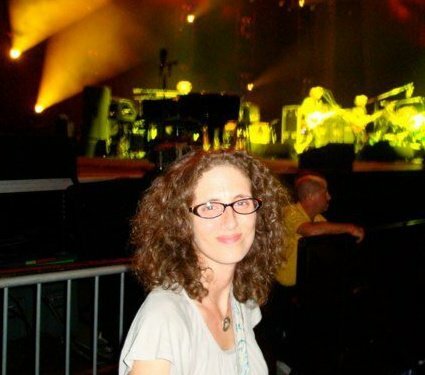 The music had been overwhelmingly different from anything I had expected to hear that night. I don’t think I have experienced such a tight and wonderful jazz performance. The legends on that stage, the fact that it wasn’t being played in America, my appreciation for the moment, my appreciation for Miles; it brought tears to my eyes. Hancock and Miller had fun during this tune, walking towards each other in the middle of the stage and Hancock bantered musically with each musician. Each one playing a rip and Hancock coming back with his handheld. 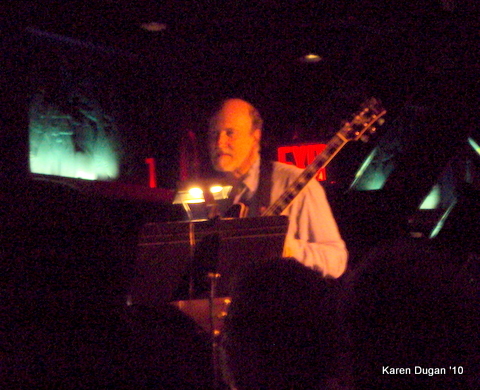 When it was Shorter’s turn, he blasted out a single note, laughter again erupted into the audience. 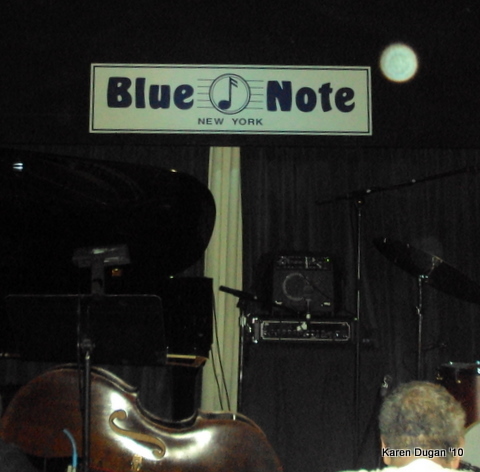 All Wayne Shorter needs to play is a single note. So amazing. Once again, they maneuvered to getting off the stage but this time they were stopped by Claude Nops, who requested another song. This time, the song that took us all by surprise, “Time After Time,” a song made famous by Cyndi Lauper in the 80’s, was played. 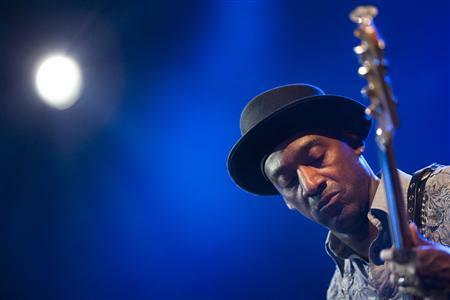 Marcus Miller was back on his deep saxophone and created a totally wormy sound from the instrument to take “Time after Time” to a different place. Without Hancock playing the melody shortly after, one might not have recognized the song. I recognized it immediately. 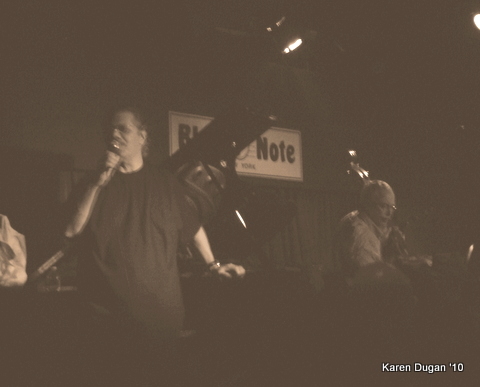 There was even a Star Wars tease from Shorter on his saxophone in there if you caught it. Completely playful and unique. Later, during his workshop, Marcus Miller would speak about how Miles Davis could take a super cheesy song or a song that most musicians might view as cheesy and find the beauty in it. This was one of those songs. 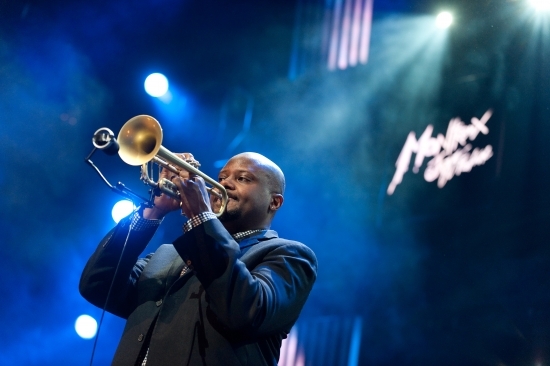 Miller felt that ending with a song that Miles Davis revamped was a perfect ending to this tribute, showing us how he could be the master of anything. 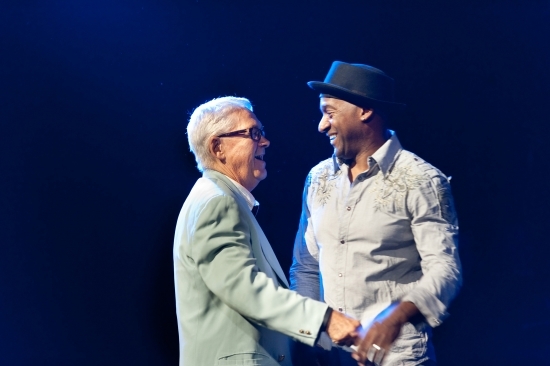 “Marcus produced a great concert,” said Claude Nobs, founder of the Swiss festival now in its 45th year. 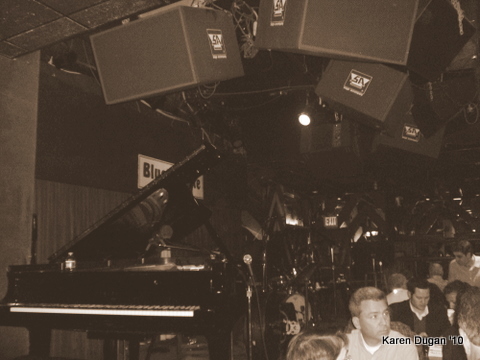 Having been raised on Broadway, Jazz, and Classical music, I fall into these events easily and willingly. 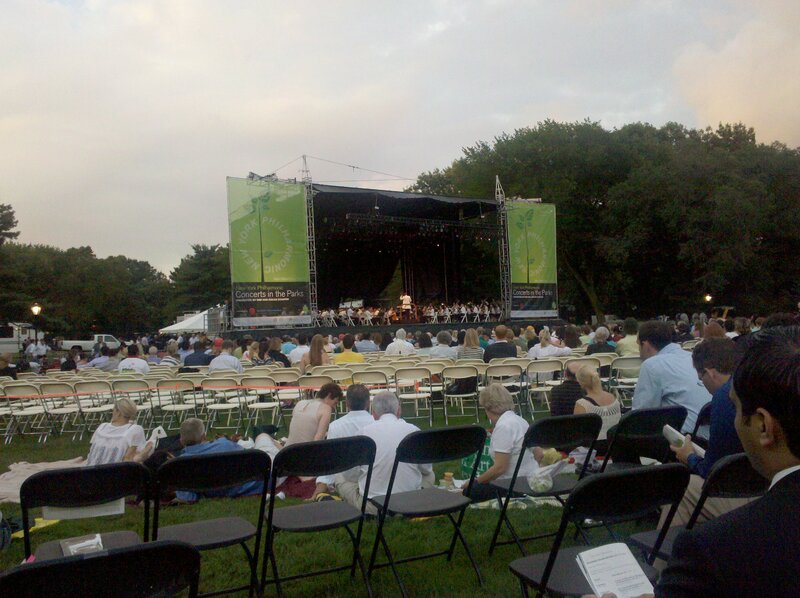 Tonight we were getting a wonderful treat in the history of music and the New York Philharmonic (NYP). 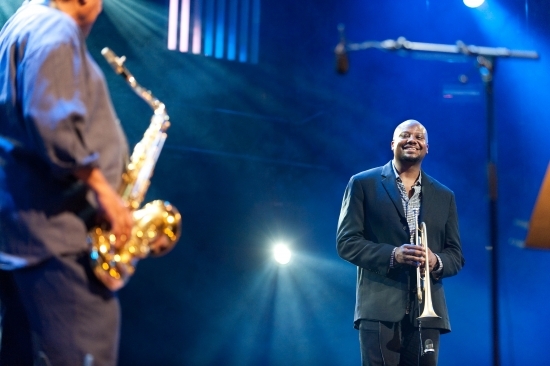 Branford Marsalis, a Louisiana saxophonist, would be making his New York Philharmonic debut. Seriously, this was a ridiculous treat. 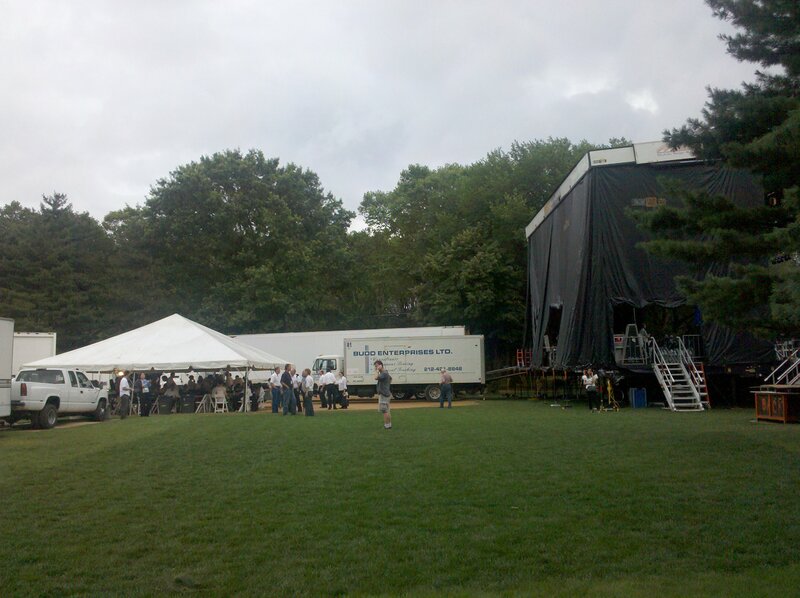 Loving my Parkie perks, we entered in through the back of the stage area. 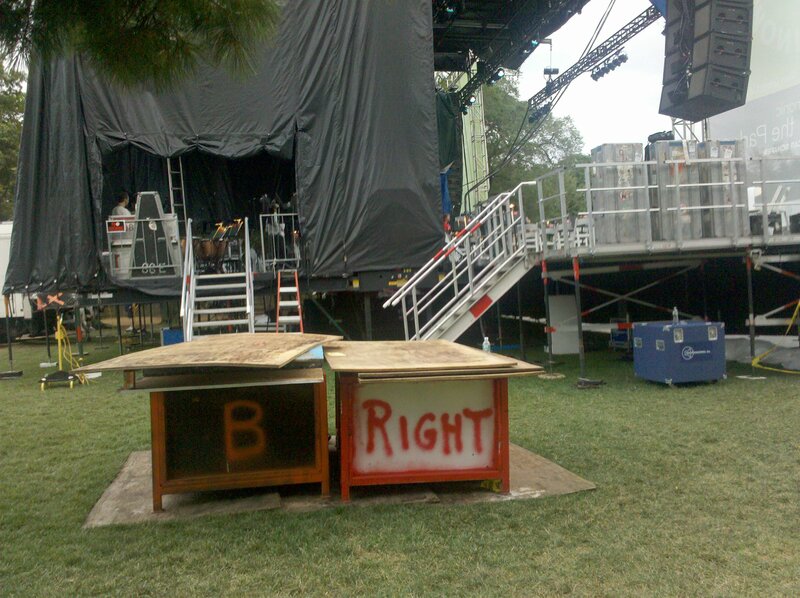 It’s fun to see the happenings behind the stage before the performances. Musicians are stuffing their faces with food, sipping on drinks and mingling while they mess with their instruments. My tribe of 14 had dwindled to 7 as the rainy day progressed. Honestly, I had my own doubts on how the night would turn out but I was trying to stay positive. 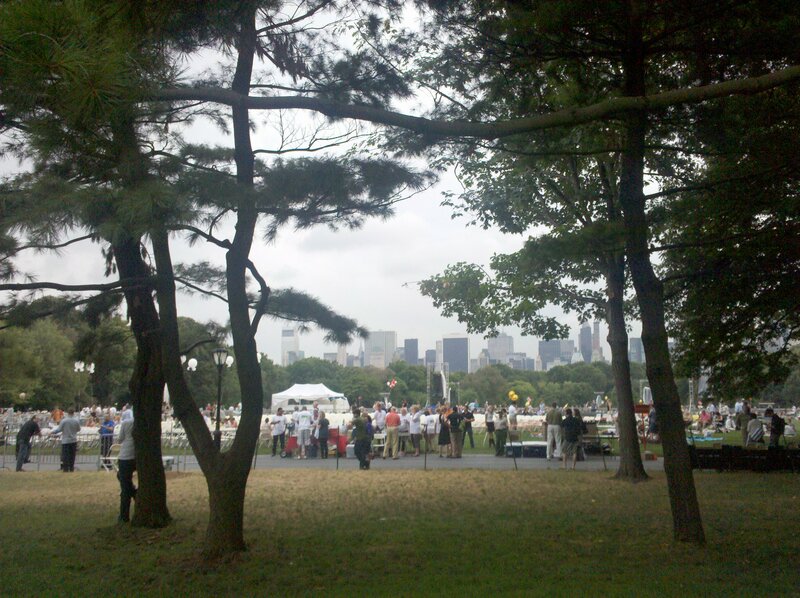 However, just like the previous night, the rain stopped around 3pm and the 55-acre center of Central Park, called The Great Lawn, was littered with people who knew a little water was worth what we might get to experience. 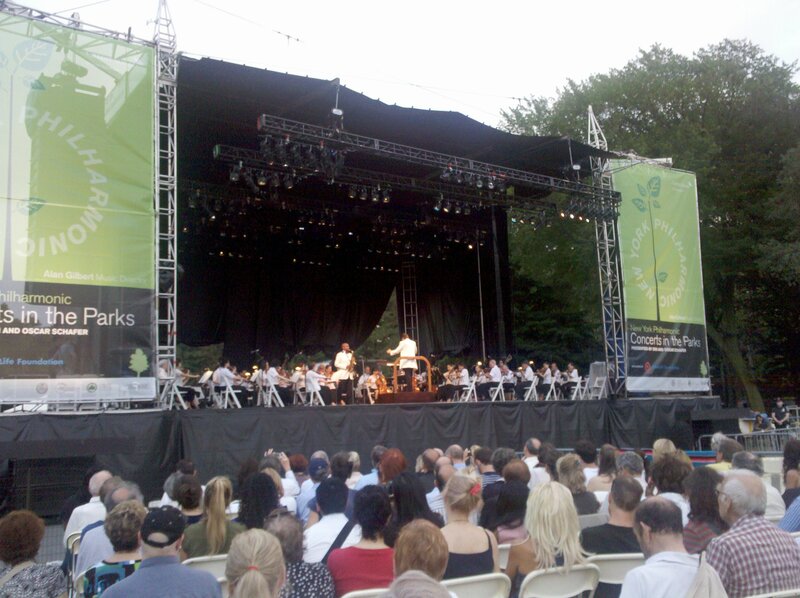 Parkies get wonderful accommodations for Central Park performances. 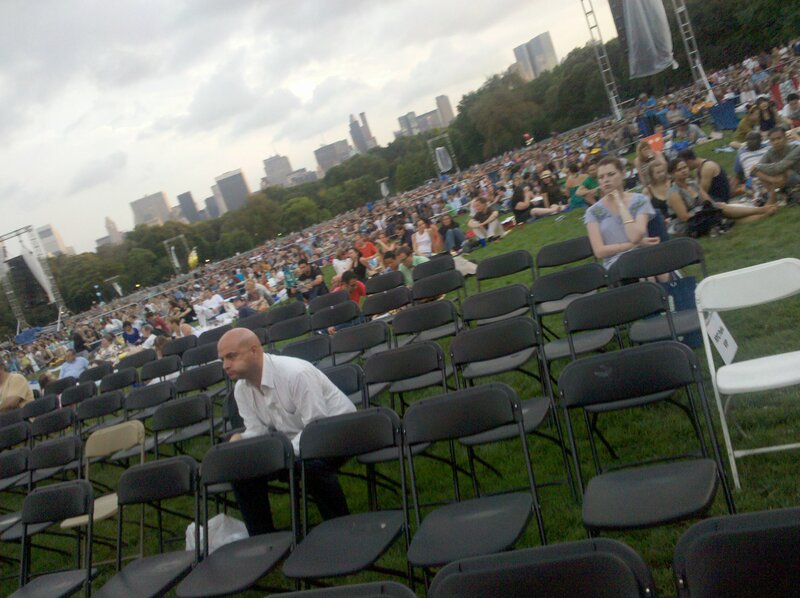 Where as all other patrons in the park must get there insanely early to beat the 30,000 other people expected to occupy the lawn that night, Parkies get special seating in chairs while the New York Phil guests get even closer seats. We also get the option of having plenty of space to lay out blankets and have a picnic style lounge for the evening. There were so many free seats that we took over an edge of seats and placed the blanket along side. A few laid down on the grass while the rest of us utilized the seats. A long time New Yorker and my guest for that evening explained to me how in the past he would arrived early in the morning and leaves his blankets and bikes in the spot he wanted to reserve only to come back hours later to occupy his spot. Apparently, no one ever messed with his belongings. I am glad I didn’t have to take those kind of risks. My advice is to do just that if you do not have an “in” for these performances. Right before the show began, a NYP staff member came around to the Parks attendees and told us that the they would love for us to move forward to use their seating as so many people had not shown. We decided we were close enough and didn’t move. Check out this video of the musicians preparing for a night of gorgeous music! I am not going to break this night up by song. I totally just sat back and enjoyed myself choosing only to recall whatever ends up in this article. 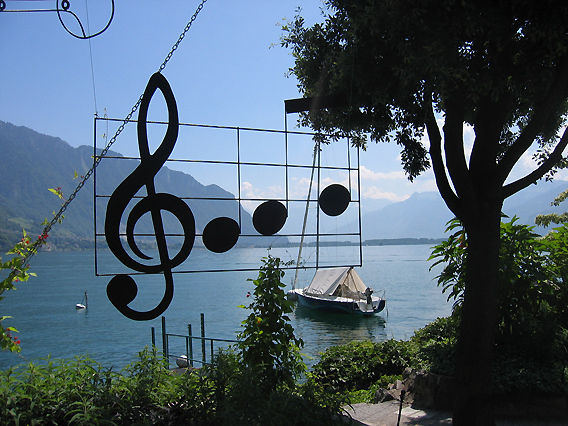 When it comes to Classical music, I just want to sink into it. I don’t want to think about writing or taking pictures. In fact, I don’t think I took a single picture with my camera, these are all from my Droid. The first half of the program consisted of the first three pieces with Marsalis coming out on the second. Marsalis was spectacular, blowing his alto saxophone with technical perfection. These songs were rather obscure and I didn’t know them. It was nice to hear Russian interpretations though. The only piece that wasn’t Russian was Schuhoff‘s. The ambiance alone is worth going. 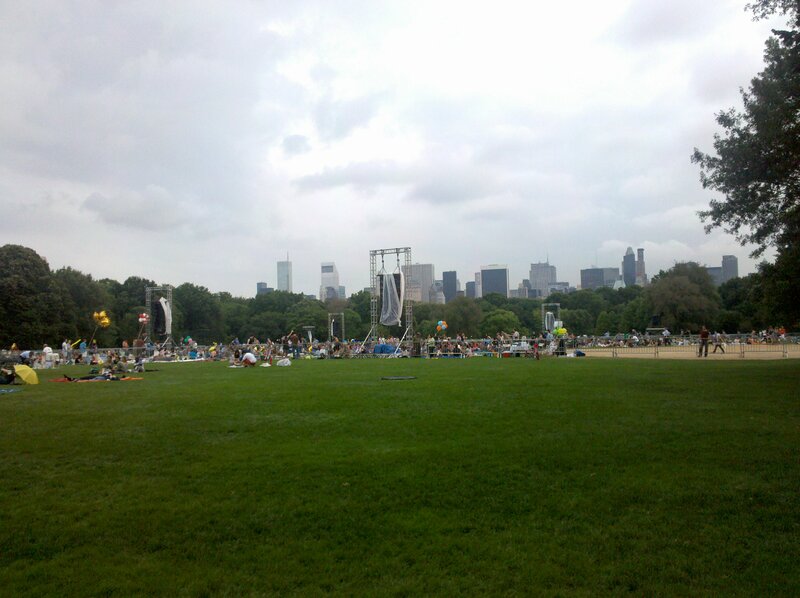 There was gorgeous music with a backdrop of a gorgeous skyline while sitting on a lush green carpet of grass. We had wines, cheeses, dips, conversation, fireworks, seats if our backs hurt or it got wet. The sound is incredible. If you are seated in the back of the Lawn then you had screens to see the performance. Just the entire event, from start to end, with all its little elements really makes it a stand out summer performance from a music festival or a show held indoors. I am constantly looking forward to it coming around every summer. During this entire time, we had been experiencing a lovely vibe. There were couples around us laying on blankets, snuggling. In the middle of a particularly quiet moment in the music, we hear this ripping blast from the guy on the blanket to our right. I don’t think I can emphasize the power it took for all of us to not bust a gut laughing. He immediately sat up and tried to mask it with a cough while I almost choked. Angie, who was closest, didn’t know what to do with herself. I mean, just hilarious. The guys were not as good at hiding their giggles. A lovely classy moment brought back to our gross reality. The encore was not mentioned in the pamphlet but I recognized the music almost immediately. They performed a medley of songs from Disney’s Sleeping Beauty, which draws as much from Tchaikovsky’s ballet. It was gorgeous and gave us another 20 minutes of classical music. I always love hearing nostalgic tunes covered in interesting ways. Classical Disney music? Totally my thing. They ended the night with a lovely fireworks display over the south end of the Central Park. The display lasted over 10 minutes and solidified everyone’s smile for the evening. All we could think about is what the people in midtown were thinking about when these explosions went off near them.